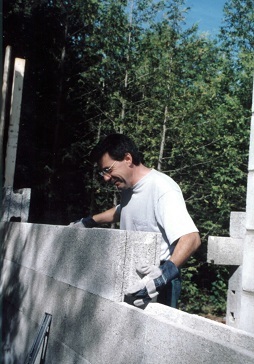 While the ICF building material construction process is straightforward and simple, we recommend that you hire experienced concrete or masonry workers to install your ICF system. Our experience in ICF installation has shown that installers with a background in insulated concrete forms or masonry are extremely well-suited to build with Nexcem due to the system’s inherent modular nature. As specialists in the industry, we would be more than happy to speak with your contractor and provide any ongoing technical support to ensure a successful ICF installation. The quality of first-time Nexcem ICF building material projects are a direct extension of the installer’s work. Using Nexcem ICF building material without extensive construction experience is possible. We strongly recommend that you take the time to carefully read the ICF installation procedures in our Technical Guide and clarify any questions or concerns that you have with us directly. Although we do not offer a formal training course with a set curriculum, we have experienced installers and contractors that you can visit to see a Durisol project being installed first-hand. While you’re there, feel free to ask any questions you may have about the ICF building material construction process. Click here to see our instructional videos.